Several investment options in India have been affected by demonetization and our own spending habits. On the other hand, most of the fixed deposit rates have been lowered by banks post this demonetization drive. Chances are here that the FD rates might drop even further. This is a situation where in all investors are preferring life insurance over other investment options. ULIPs (Unit-linked Life Insurance Policies) have gained much presence in the investment market as they’re considered to be a much safer means of creating wealth in the long run. Reasons behind the increasing popularity of these ULIPs comprise of their lucrative returns besides their tax saving and protective nature. Out of all the features of a unit-linked insurance plan or ULIP, the most important one seems to be its capacity to invest an individual’s premiums into equity funds as well as mixed debts in different proportions. It doesn’t even yield any tax liability for enacting transfers between separate funds.Besides yielding extra tax-saving advantages for the investors, ULIPs act as a financial tool that links multiple investment options. The premiums that are paid for a coverage plan like ULIP get invested with certain financial instruments, debt, and equity. The premium that goes out towards this policy is shown as a deduction under section 80C of IT Act. ULIP premiums may be considered as a deduction from the taxable income up to a certain limit under section 80C. In addition, a ULIP enables the policyholder to pick an asset class and contribute towards his investment planning accordingly. The risk-tolerance of a young investor is much higher and it enables him to follow the more-risk more-return equity investment strategy. To lower your market risks and fetch quality returns, you may pick a mix of financial market instruments, debt, and equity. A ULIP investor can switch over to a new asset class from the existing one or may even get the funding proportion modified for his current investment in financial instruments, debt or equity. Apart from the benefits mentioned before, ULIPs may come with great tax saving opportunities against withdrawals. These benefits aren’t meant for the mutual fund investors. Withdrawals may occur when the policyholder needs to withdraw a portion of his investment, when the policy gets maturity or when the policyholder passes away. Death benefit offered by your ULIP isn’t taxable at all. ULIPs show a close similarity to any traditional insurance plan that yields guaranteed financial protection for the dependents of the insured. Periodic top-ups offered under ULIPs are a good investment option for individuals possessing excess cash. In a favorable situation, an investor is likely to gain certain tax saving advantages, guaranteed protection, and great returns through different modes of investment like that of mutual funds and life insurance policies. However, it’s quite tough and challenging to strike the right balance between various investment options. That’s one reason why so many of the modern investors are opting for ULIP and similar combination products. This is certainly an effective option to get your life coverage benefits trebled. 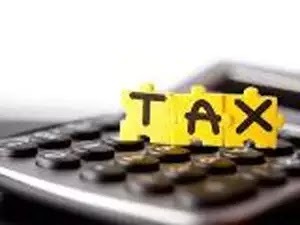 Without experiencing any complication and risk of suffering losses, you’ll now be able to enjoy these tax saving options and high ROIs.